While we continue to immensely enjoy Chance the Rapper's Coloring Book (which we just named the best album of the year so far), the Chicago MC is making a new Canadian connection. Today, he's teamed up with Braids offshoot Blue Hawaii for a new collaborative song. 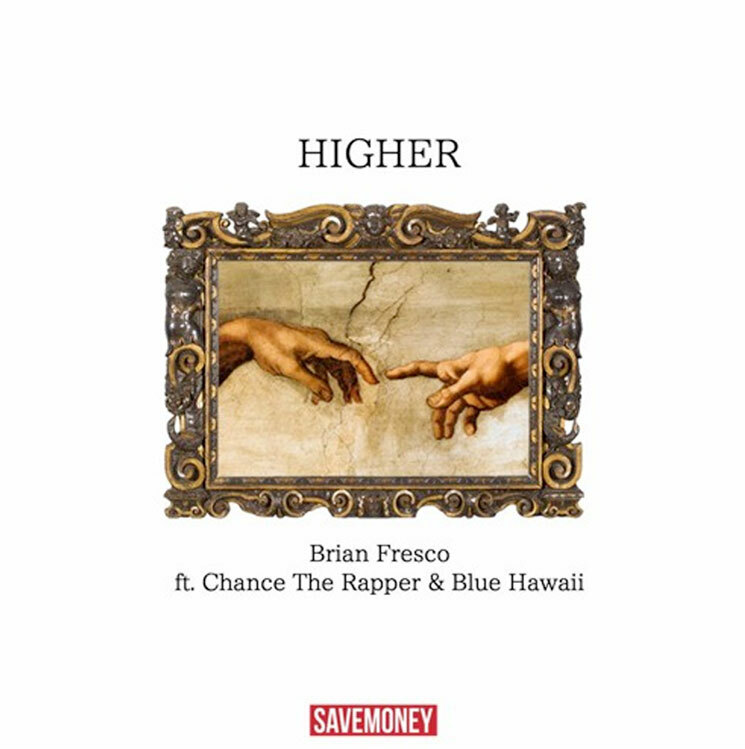 The new track is called "Higher," and comes at the hands of Brian Fresco, who, along with Chance, is part of Chicago's Save Money collective. It's due to appear on Fresco's upcoming mixtape Casanova, and the song prominently features Raphaelle Standell-Preston's angelic vocals, along with Chance's ever-smooth flow. I wanted to try something musically I've never done before with my homie Trevor, and despite one of my friends telling me my heart wasn't in it, I still knew this song was a hit. When I took it to the bro Chance, he immediately knew it was a smash as well. Shoutout to Raph and Alex from Blue Hawaii too. I know people didn't expect this collab, but there are many more to come. Casanova is due out on July 5 and also features the likes of Pro Era's CJ Fly and BJ the Chicago Kid, along with production work from Bo1-da, the 2-3, and BlockOnDaTrack. For now, though, hear "Higher" below.